House gets 5 stars, local support 1! First of all: it is an absolutely lovely house, kitchen well equipped and well functioning. The air-conditioning worked well. The view is stunning and we enjoyed the sunset every evening from a front row center view from the patio. What was not so nice was the lack of local support. From the friendly owner (who spoke very good English) we were told to go to Filippo, who would then take us to the house. Filippo spoke no (and I mean zero) English. Through one of his employees he finally understood why we were there and instructed a friend, who also spoke zero English, to take us to the house. After having been taken up to the house, the fellow received our money (rest of rent plus security deposit) and the he disappeared! Luckily, there still were the departing guests, who informed us about the power failures and that there was one more safety box down by the street. In the one week, we had 6 power failures. They also gave us the code to the Internet; that was nowhere written in our part of the house. It is two half-houses, but totally separated, but they share one router. After one day, there was no longer connection to the router. The cleaning ladies were next door, so I could get in and find it. Power cable had been removed. Luckily, I had a cable we could use, so we were back in business. Then Thursday, as we were leaving Saturday, Internet connection disappeared. No more GB left in the account. I wrote the owner, but connection was not restored. In summary: The fact that were lucky to meat the departing guests plus that we could solve the problems ourselves made the week a great holiday. With our family of 5 we spent 2 wonderful weeks in this beautiful villa with a fantastic sea-view. All in all very recommendable. We'd iove to come back. Wir haben drei wundervolle und unvergessliche Wochen in diesem Haus/in dieser Gegend verbracht. Das Haus bietet wirklich alles! Es war alles sehr sauber. Der eigne Parkplatz ist auch für ein grosses Fahrzeug geeignet. Der Besitzer antwortet innerhalb kurzer Zeit auf alle Fragen; wir durften sogar unsere Check-Out-Zeit später ansetzen. Wir hoffen, dass wir eines Tages wiederkommen können. "Excellente situation avec une vue imprenable sur la Baie. La maison correspond à la description et l''equipement est en bon état. Plusieures belles plages à quelques minutes de voiture. Très calme et reposant : on entend que le bruit du vent et de la mer !" "Nous avons oublié l''appréciation de notre séjour de 2009, magnifique maison magnifique région, nous avons passé 2 semaines fantastiques. Seul petit ennui la clim ne fonctionnait pas." "Das Haus und die Umgebung ist wirklich wunderschön! Die Wohnung selbst ist sicher kleiner als 150m2 aber sie ist sehr geschmackvoll eingerichtet, gut ausgestattet. Wir waren Anfang April im Haus und da war es vor allem in den Abendstunden schon sehr kalt. Es ist ein Haus, das auf warme Sommer ausgerichtet ist. Vom Vermieter und dem Vertreter von Close up Vacanze wurden wir sehr freundlich betreut. 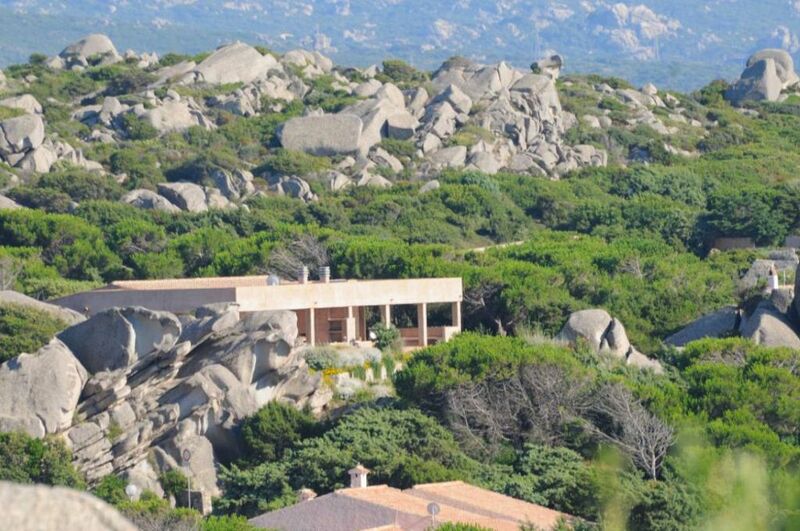 The house is near the most beautiful beaches in the northern Sardinia. At walking distance: swimming pool, tennis court, scooter rental etc.